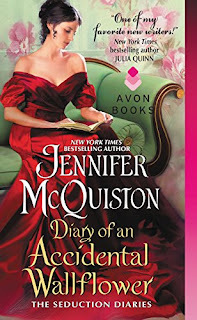 I'm excited to welcome Jennifer McQuiston back to The Romance Dish today to celebrate yesterday's release of her newest book, The Perks of Loving a Scoundrel. It's another terrific story from this talented historical romance author! 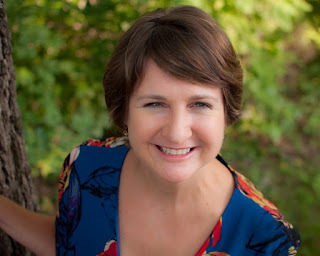 Jennifer is a New York Times and USA Today bestselling author who is also a veterinarian as well as an infectious disease researcher with the CDC. This is a woman who clearly knows how to multi-task! Jennifer recently answered questions for me about her new book as well as her life away from writing. Please give her a warm welcome! Welcome back, Jennifer! It’s always a pleasure to host you here at the Romance Dish. Thank you! It is good to talk to you again, PJ! It is always such a pleasure to be on The Romance Dish – I love your site, and always visit for great recommendations! Your new book brings readers the story of the third Westmore sibling, Geoffrey and Miss Mary Channing, younger sister of one of my favorite McQuiston heroes, Patrick Channing, Earl of Haversham. What should readers expect from The Perks of Loving a Scoundrel? intrigue, so readers should expect a wild ride through London, with some back streets of Edinburgh thrown in! In this book, the hero, Geoffrey Westmore, is a bona fide scoundrel known for his crazy pranks, while Mary Channing is more of an innocent who daydreams about the characters in her books. From the moment they meet, Mary is convinced he must be a villain, and when he traps her in the library and kisses her senseless, he seems to be living up to that reputation. But when they hear whispers of an assassination plot, suddenly her villain must play the hero—whether he wants to or not. Readers will see a return of some of my past characters, including Dr. Daniel Merial and Clare (from Diary of an Accidental Wallflower). There are some strong secondary characters – in particular, the stoic butler, Wilson makes a return appearance, and you get to know Eleanor, Mary’s twin sister as well. Alas, Patrick Channing doesn’t make an appearance, although you do catch glimpses of his happy life). Before coming to London to help her sister, Mary lived her life through the pages of her books. What role did books play in your life while growing up? Oh, I was always that girl imagining herself as the character on the page! I have vivid memories of draping a blanket over the side of the bunk bed and pretending it was a covered wagon. This, of course, is the oh-so-normal reaction to reading the Little House on the Prairie series. I also used to imagine that my dark room held a black panther, waiting to pounce on me, and my older sister was almost certainly going to go blind from scarlet fever. I was a voracious reader as a child and young adult, and it takes me back in time to see my own daughters lose themselves in their beloved books. I enjoy the links you post on social media of obscure historical facts, mostly medical or scientific. What fact(s) have you uncovered that most surprised you? I’m constantly amazed by your ability to effectively manage all the different facets of your life: CDC researcher, NYT bestselling author, mom, wife, and more. How do you balance it all? Oh, I don’t know that I do any of them particularly well! I just try to hunker down and invest my energy into the most pressing need at any given time. When Ebola was raging in West Africa, that clearly consumed all my time, and I had to leave my family to give it my all. When I am writing I become a bit of a hermit, holed up in the basement of my house and typing in the wee hours of the morning. Right now, I am focusing more on my job at CDC (which gets crazy some days), and I am also enjoying focusing on my family—my youngest just started middle school, and both of my girls have joined the volleyball team, so I am enjoying cheering them on. To me, the most important thing is to not beat yourself up when some things slide. There is no way on earth to stay sane if you expect to do everything perfectly! For example, my house is a rolling bit of cat hair and dust balls. I have decided to let that go. You’ve mastered many skills in your life. What new skills are waiting for you to give them a try? I love this question, because learning how to write (romance or otherwise) was a late event in my life. I published my first book when I was 40 years old, and just started typing stories a few years before. I firmly believe we humans should constantly be trying to master new skills – it is part of what makes us unique as a species to be able to learn new things, no matter how old we are. I am trying to learn how to incorporate some better fitness into my life at present (with variable results). I sure would like to be able to master the skill of making myself do situps! I would also like to learn how to properly operate the sewing machine my mom… straight lines (no corners!) are about all I can do. I would love to be able to make a bona fide quilt some day with all the beautiful fabrics I have from Africa. Your wonderful sense of humor is once again on display in this book. Whose books make you laugh? Sarah MacLean’s books always make me chortle out loud. She has SUCH a lovely voice for humor. Julia Quinn’s dialogue brings a huge smile to my face, her characters always have the wittiest retorts. I also love funny memoirs: Tina Fey’s Bossypants is one of my favorites. Right now I am taking a bit of a much-needed breather and focusing on cheering for my daughters’ volleyball team. I am reassessing this work-life balance thing and trying to get some out-of-control migraines back under wraps. So, I would say check back in with me in 6 months… by then I should have a better idea of what may lurk in my future! Thanks for visiting with us today, Jennifer! Would you like to ask our readers a question? Thank you so much, it was a pleasure. And I would love to ask a question! I am intrigued by your new skills question, so my question to readers is, What new thing would you like to try this year? The deadline to be entered into the giveaway is 11:00 PM (EST), September 29, 2016. I enjoyed "The Perks of Loving a Scoundrel" very much in addition to "Diary of an Accidental Wallflower." I guess you would say I am a huge fan of Jennifer McQuiston. Not only are her books fabulous, but the author herself is an amazing and fascinating woman in her professional life. Three cheers for a lady who can do it all. I've enjoyed all of her books. And three cheers, indeed! Thank you Connie, you are very sweet! Baking masterpieces which the family would savor and enjoy. I'm an enthusiastic baker but I'd love to become more accomplished. I watch the baking shows and am in awe of what they make! I love baking, but I would need lessons for a masterpiece! What a delightful and informative post. I would like to create gifts for friends. I was just at a weekend retreat where a lot of creativity was on display. That's a talent I cannot claim. Just one-clicked my way through a whole slew of these books. How did I miss clicking "follow" on her author page??? I'm teaching myself calculus. It's been quite a few years since college, so I wanted to challenge myself. Oh my gosh, calculus is the one class I have legitimately once failed in my life, so I am impressed too! Keeping up with new technology - phones and computers, they always seem to be changing. These are the kind of stories I really enjoy! Hope you enjoy it, catslady. Technology is changing so rapidly these days. It's hard to keep up! Iam hopeless here, so I get it! I am considering learning how to let go of some "stuff". I have looked around and realized I have to many things in my home. So, I am going to find out what it takes and then attempt to become a salesperson. I was forced to do this three years ago when I sold my house and moved into a condo. It was very difficult at first but the more "stuff" I got rid of, the better I felt. It really is amazing what a positive difference it made in my life. Good luck! Let me know when the sale is! I love yard sales! I'm already thinking ahead to the holidays. We always have a traditional Thanksgiving feast. This year, I'd like to try something very different. I don't know what, but looking for alternatives should be part of the fun! Thanks so much for the post. 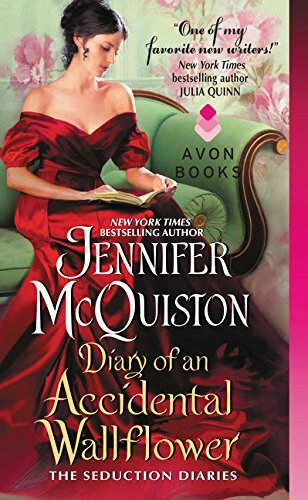 I enjoy Jennifer's books and am looking forward to her newest. Good luck with your new and different plans. I'd love to hear about what you end up doing! Looking forward to reading this book since I've enjoyed her other titles. I have been a fan of Jennifer's since I won a copy of What Happens in Scotland, way back when! LOL. I am not looking to start a new skill, but I do want to relearn the piano. I took 7 years of lessons as a child, but haven't played for over 30 years. Hi Sharlene, it is good to hear from you, and I remember when you won that book! Piano is such a beautiful sound... I wish you luck! I love Jennifer's books. I would like to de-clutter my house. I have always saved things that I shouldn't keep, and I plan to start going through things. This is a noble goal. Every 6 months I tear through our house and make a big Goodwill donation. Half the time my family asks "where is X" only to find out I've given it away. They might like me to stop... but I can't stand clutter! congrats on the new release! This sounds fabulous! I'd also like to declutter my bookshelves. I've got a lot of books that need to be "rehomed". But It's soooo hard to let go :) thanks for sharing! Oh no!! Good luck to you! The one new thing I would like to try this year is to actually manage some down time for my husband and myself. We have gotten overwhelmed with volunteer work and things that need to be done around the house. It has gone way beyond the normal letting things slide a bit while you do something important. We have no time for ourselves and the the home projects have gotten to the point we can't catch up. Everything we are involved with is worthwhile, but it has gotten to the point it isn't as enjoyable as it should be. Down time is so important, I wish you luck in this!